Barcelona have now arisen as a brand new interested party in the services of current Juventus boss Massimiliano Allegri, according to reports in Spain. Barcelona’s current manager Luis Enrique is still unsure about his future at the club, and following his team’s 4-0 hammering at the hands of Paris Saint-Germain in the Champions League last week, the Catalan Giants now seem to preparing for a future without him as well. The Barca board has therefore begun to look for possible replacements should the Spaniard end up leaving his position as first team boss at the end of this season. As per Sky Sports’ trusted journalist Guillem Balague, Barcelona have already identified two potential candidates for the job – Sevilla boss Jorge Sampaoli, and Tottenham Hotspur manager Mauricio Pochettino. 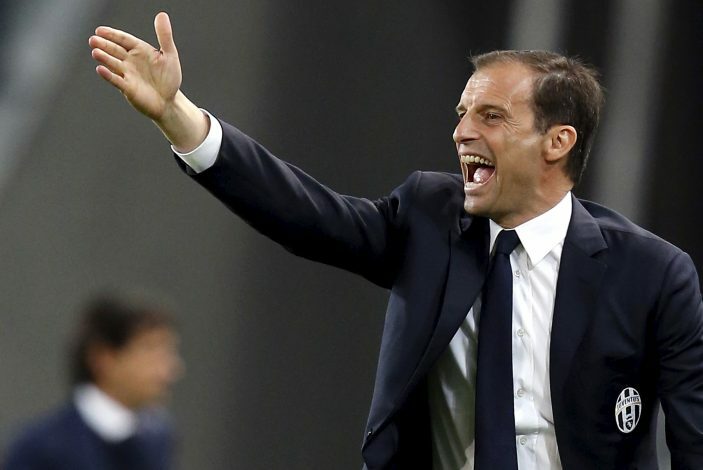 But now, according to the latest report by Calcio Mercato, Juventus’ Massimiliano Allegri is the newest addition to Barcelona’s shortlist, and the La Liga powerhouse will weigh their chances of luring the Italian tactician to the Camp Nou in the coming summer. This news comes as a gigantic blow to Premier League giants Arsenal, who were hoping Allegri to eventually succeed Arsene Wenger as their new first team coach at the end of the season. The Gunners will now have to go head-to-head against the mighty Barcelona for Allegri’s services, or look elsewhere for a potential Wenger replacement. Allegri did address the Arsenal rumours by joking about learning English last week, but whether he ends up making any concrete decision regarding his future remains to be seen.